Researchers and practitioners will assist stakeholders and decision-makers identify pathways to a low-carbon, hunger-free Bangladesh. 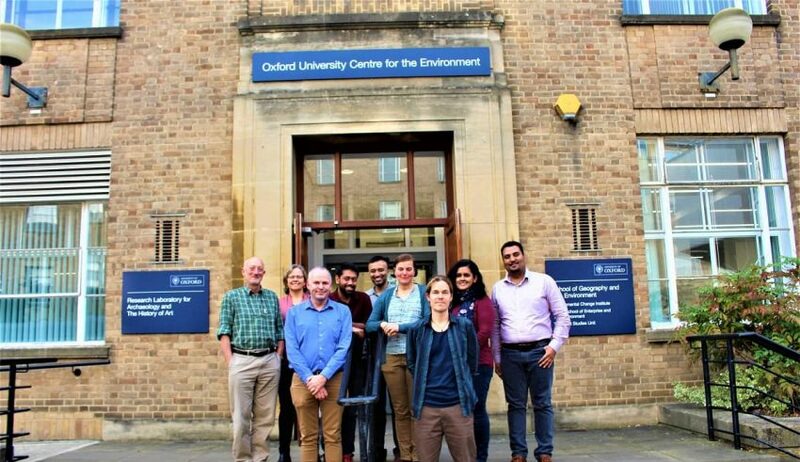 A new project in Bangladesh has brought together environment and development researchers and practitioners from Oxford University’s Environmental Change Institute, Oxfam Great Britain and Oxfam Bangladesh and the International Centre for Climate Change and Development (ICCCAD) at the Independent University of Bangladesh. They will pioneer methods to help decision-makers, and stakeholders from a broad range of civil society and the food industry, to identify ways in which Bangladesh can achieve both the Sustainable Development Goal of zero hunger and the goal of a low carbon economy as envisaged by the Paris Agreement on climate change. The ‘zero-zero’ project is funded by the UK’s Economic and Social Research Council and Department of International Development under its path-breaking Development Frontiers scheme for innovative research on poverty alleviation. Bangladesh has made impressive strides towards food security but has more to do to achieve improved nutrition. Furthermore, climate change is a major threat to food security. Thus, adapting to climate change is one of the priorities for the Government of Bangladesh. The nation has also committed to playing its part in global greenhouse gas emission reductions. As some 40% of Bangladesh’s emissions are of the powerful greenhouse gases methane and nitrous oxide and come from agriculture, can the drive for food security and sustainable food systems be delivered in ways that also cut emissions? Or will the two goals work against each other? How should these trade-offs be addressed? Furthermore, the scenarios will examine the wider national context, notably pathways to Bangladesh’s energy future. The country is aiming to provide electricity for all, but primarily by using more carbon-intensive coal. The project will use ‘participatory scenarios development’ methodology to help stakeholders map out pathways towards the twin goals, identify potential co-benefits for farmers and rural people, and explore potential conflicts and trade-offs that will need to be resolved and minimised. Participatory scenarios development will involve parts of society that may be presently neglected in the decision-making process so that their voices are heard. Poor and marginalized people already most at risk from shocks and hazards have the most to gain or lose and must be at the heart of debates about co-benefits or trade-offs. Dr Monika Zurek of Oxford University ECI said: “Participatory scenarios have been used very successfully to bring together different communities of stakeholders and experts to discuss the implications of plausible future developments and how to change or prepare for them. “They are excellent ways to open up new ways of thinking about the future, question our beliefs about the future that determine decision making and for making connections between people and institutions who might not normally talk with each other. Dr Saleemul Huq of ICCCAD said: “The agricultural sector is both key to achieving zero hunger in Bangladesh and could help reduce our greenhouse gas emissions over the next few decades. This requires inventive thinking about how we, as a society, can achieve these two goals in harmony, and participatory scenarios could be a great tool for this”. ‘Zero Hunger – Zero Emissions: Enabling the debate on how to feed the world whilst mitigating climate change’ is led by Dr Monika Zurek, Oxford University ECI, with Dr Saleemul Huq, ICCCAD/Independent University of Bangladesh, and Dr Irene Guijt, Oxfam GB. It is funded by UK ESRC and DfID. For more information contact: Meraz Mostafa (meraz.mostafa@icccad.net), Research Officer at the International Centre for Climate Change and Development, Independent University, Bangladesh in Dhaka, Bangladesh.